Waste management is not a simple task. It is essential that you are knowledgeable and that you thoroughly understand how to properly use your skip bins. 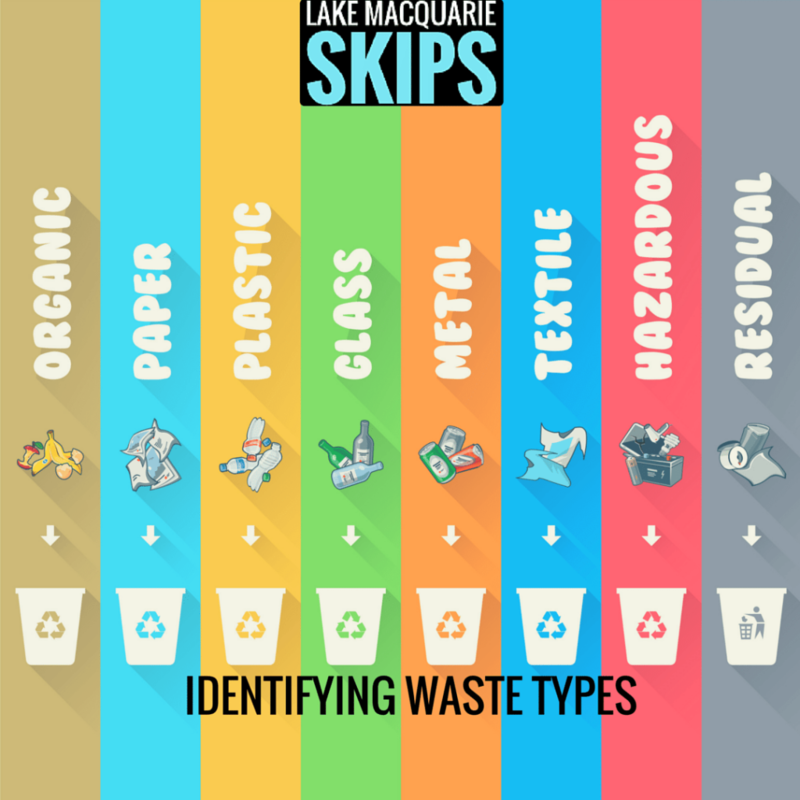 You should know the types of materials that are allowed to be disposed in Lake Macquarie Skips. If the load contains wastes that are prohibited, it will not be allowed to be disposed in your local landfill area. This may also incur additional charges on your part due to load contamination. Here is a list of what is allowed and what is prohibited to be disposed in Lake Macquarie skip bins. Household items which include broken appliances or furniture, old toys, and materials made from paper, metal, or plastic. Mattresses are allowed but they will consume a lot of space in your Lake Macquarie skip bins. It is best to dispose of these specifically, and not with your general waste. Wastes that are commonly found in your yard such as bricks, rocks, tiles, and metal. Wastes produced from new construction projects. Villa board that has been labelled with “Does not contain asbestos”. Virgin Excavated Natural Materials which are defined as natural material that was obtained from areas that are free from contamination of chemicals, process residues, sulfidic ores, or any other type of waste. Excavated Natural Material are defined as natural material that has mild contamination of foreign material. Wastes found in offices such as paper, plastic, cardboard, electronic devices, broken furniture, and partition for walls. Do you need help with skip bin waste removal? Get professional help today. If you are not sure if you doing waste removal using Lake Macquarie skip bins properly, you can contact us and our experts will be glad to help you out. We offer different skip bins in Lake Macquarie with sizes ranging from 2m3 to 30m3. No matter what your waste disposal needs are, our skip bins can accommodate it. The equipment that we use are hygienic, durable, and simple to fill. If you reside in the inner part of the city, you can avail kerbside collection services, which are specially designed to facilitate fast waste disposal. Our fees do not come with hidden charges, such as removal fees. Make use of our efficient online booking system to hire skip bins in Lake Macquarie, or give us a call at 0452 22 55 88 for more details.